2008 Eclipse RV Stellar 38LKS 5th Wheel Toy Hauler! 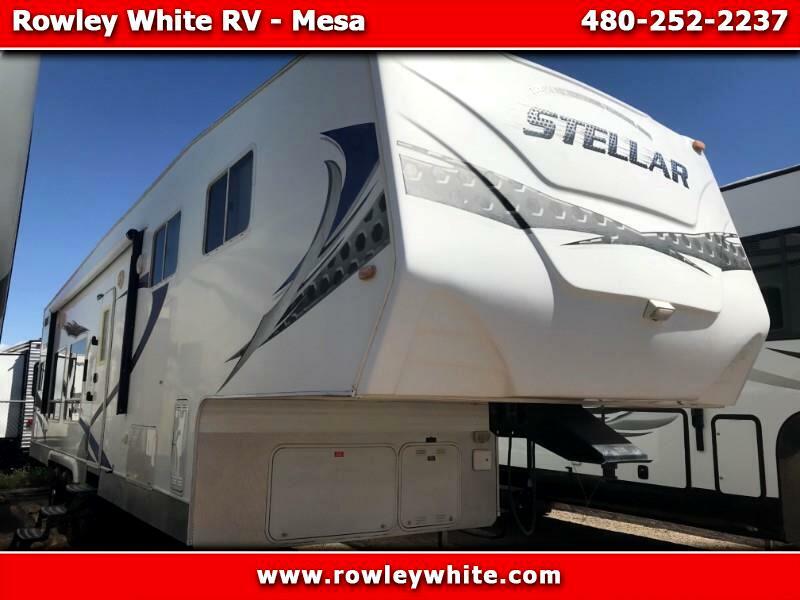 USED 2008 Eclipse RV Stellar 38LKS 5th Wheel Toy Hauler! Rear electric queen bunk, 72 inches below the rear bunk when in the up position! *There is 18 feet of cargo room to the first cabinet and 22 feet to the first cabinet on the other side! With 72 inches under the bunks in the up position! We are located at 8102 E Main St, in Mesa, AZ 85207 (on Main St, between Sossaman and the 202 Freeway). Open Monday - Friday 8 - 5, Saturday 9-4. Message: Thought you might be interested in this 2008 Eclipse RV Stellar.